a short film this week addressing the legalization of industrial hemp here in the US. In 2016 alone, the US will import an estimated $500 million in products made of industrial hemp. Unfortunately, here in the US hemp has mistakenly found itself on Schedule I of the Controlled Substances Act even though it has no psychoactive properties. Industrial hemp is a crop that has the potential to lower the environmental impacts of textile production, empower small-scale farmers and create jobs in a wide variety of industries. On July 4, 2016, a petition will be delivered to Congress urging them to pass the Industrial Hemp Farming Act of 2015/2016 (S.134 and H.R. 525), legalizing the cultivation of industrial hemp in the United States. Harvesting Liberty, a short film Patagonia released on May 23, 2016, was made to address the current status of industrial hemp in the US. It is directed by farmer/surfer/environmentalist Dan Malloy and produced in partnership with Fibershed and The Growing Warriors Project, The director, Dan Malloy a long-time Patagonia employee was introduced to Mike Lewis and the Growing Warriors in 2014. Dan introduced this project to Patagonia and soon after they were given a grant to fund Harvesting Liberty through Patagonia’s 20 million and Change program and Dan and a crew went to Kentucky to work on the project. 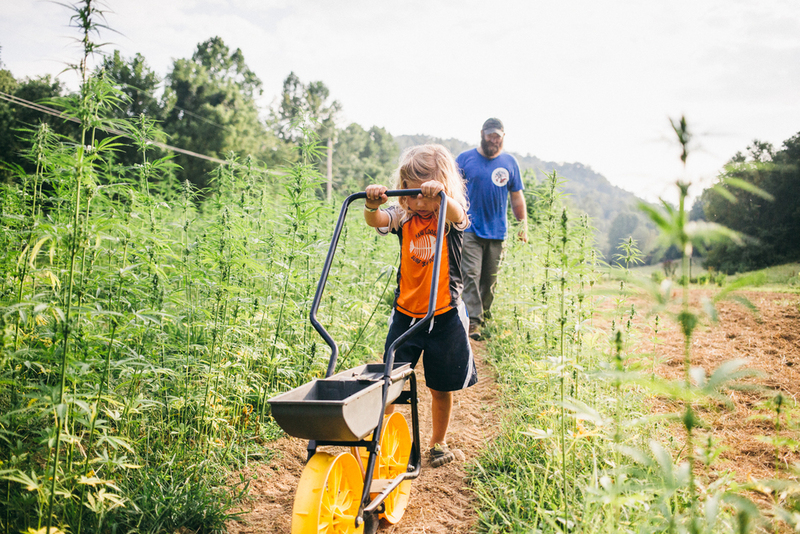 Harvesting Liberty tells the story of US Veteran Michael Lewis and the work he is doing in conjunction with The Growing Warriors to reintroduce industrial hemp into Kentucky - and eventually all US agriculture. On July 4th, 2014, Michael flew an American flag at the Capital made of hemp grown on his farm in Kentucky, symbolizing the key role industrial hemp has played in the founding of our country. Harvesting Liberty was created to educate society on the immense potential industrial hemp holds for food, feed, fiber, fuel and families. Federal law currently denies American farmers the right to grow the crop in US soil – this film is working to change that reality.